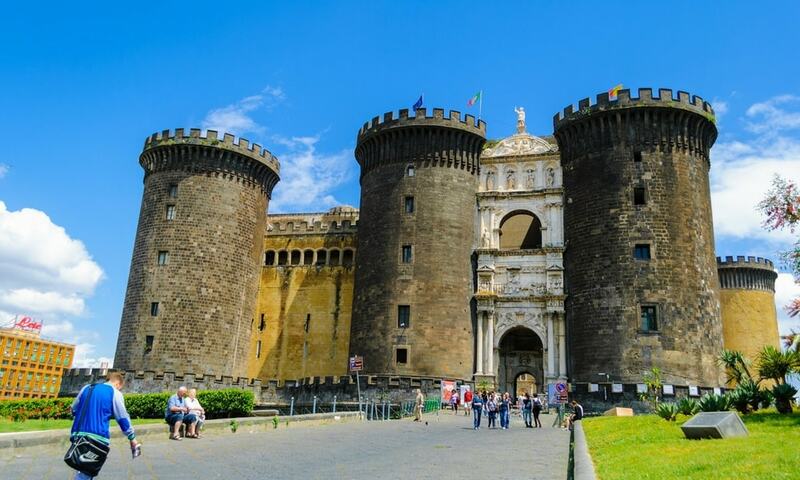 Castel Nuovo is a medieval castle located in front of Piazza Municipio and the city hall in central Naples. Its scenic location and imposing size makes the castle, first erected in 1279, one of the main architectural landmarks of the city. Before the accession of Charles I of Naples (Charles of Anjou) to the throne in 1266, the capital of the Kingdom of Naples was Palermo. There was a royal residence in Naples, at the Castel Capuano. However, when the capital was moved to Naples, Charles ordered a new castle, not far from the sea, built to house the court. Works, directed by French architects, began in 1279 and were completed three years later.